Winter won’t release its grip on the Northeast just yet, but you can turn up the heat with fireside dining in New England. We’ve rounded up 15 places that’ll get you stoked for going out to eat when there’s a chill in the air. There’s typically a dog curled up in front of the fireplace at stylish Sea Glass, a restaurant in the Inn by the Sea just outside of Portland. 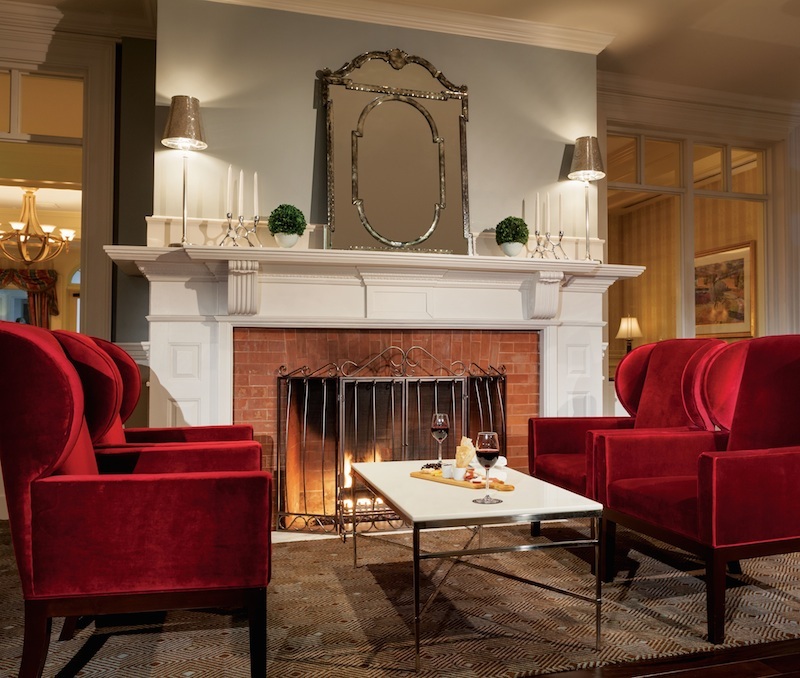 The fireplace in the lounge is perfect for pets — and a chow of sustainable seafood fresh from Maine’s coastal water and local produce (lobster shrimp dumplings and scallops with risotto) is perfect for you. For your canine companion, order the Meat Roaf off the gourmet pet menu. Book a table at Sea Glass at Inn by the Sea. Channel Provence with chef Robert Sisca’s French-inspired menu (prior to opening Bistro du Midi, the chef worked at the celebrated Le Bernardin in New York City) and views of Boston’s Monet-esque Public’s Garden. The restaurant has a fireplace, oui, oui, and a menu that features French treats such as Bouillabaisse du Midi (saffron-scented broth, rouille, gruyere) and Foie Gras Terrine (chocolate foie gras truffle, macerated cherries). There’s also a proper selection of pates and charcuterie that practically demand you accessorize with a scarf before indulging. 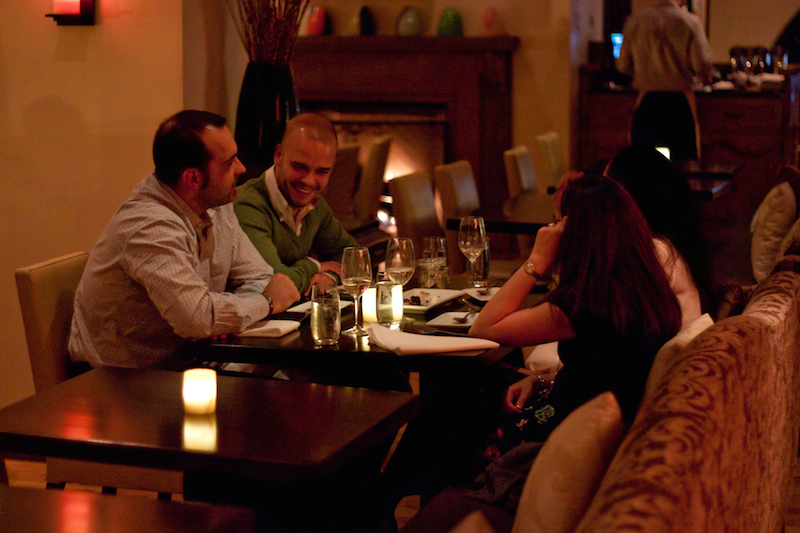 Make a reservation at Bistro du Midi. 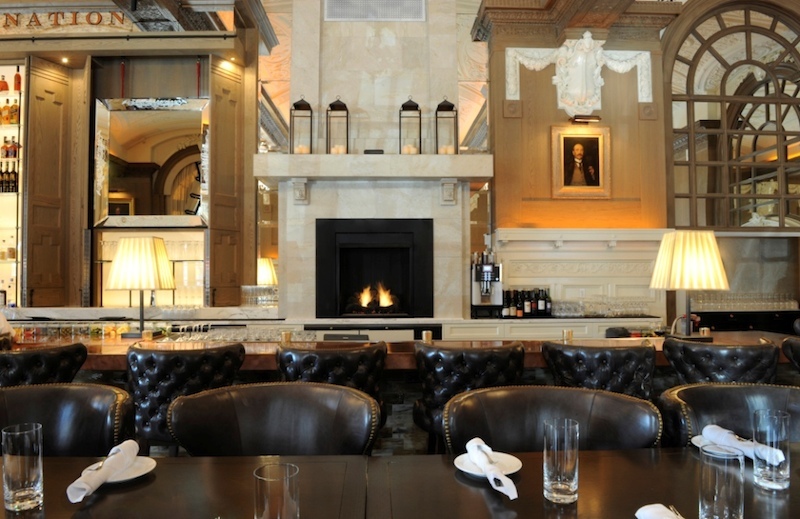 There are two fireplaces at this Back Bay restaurant in the Fairmont Copley Plaza. One is a double-sided fireplace that adds warmth to both the main and semi-private dining rooms, and another fireplace is located behind the bar. Best bets for cozy winter meals: The Charcuterie Board, New England Pot Roast (short ribs, horseradish potato puree, root vegetable, braising jus) and, for fireside brunch, the Breakfast Mac ‘n Cheese (smoked bacon, fried egg, buttery croissant crumbs) is a hearty hearth choice. 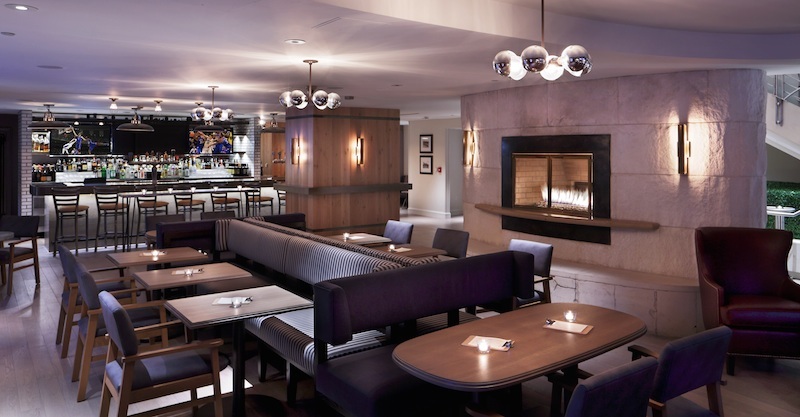 Make a reservation at OAK Long Bar + Kitchen. Surrender to a meal in front of the “great” fireplace in this repurposed Boston Police Headquarters, which showcases classic Boston cuisine with a thick accent on local and regional produce. Think Shuck for a Buck (dollar oysters daily from 4-6PM), New England Wellfleet Chowder, Seared Georges Bank Scallops, Sweet Maine Shrimp, and Maine Lobster Sliders. Make a reservation at Precinct Kitchen + Bar. 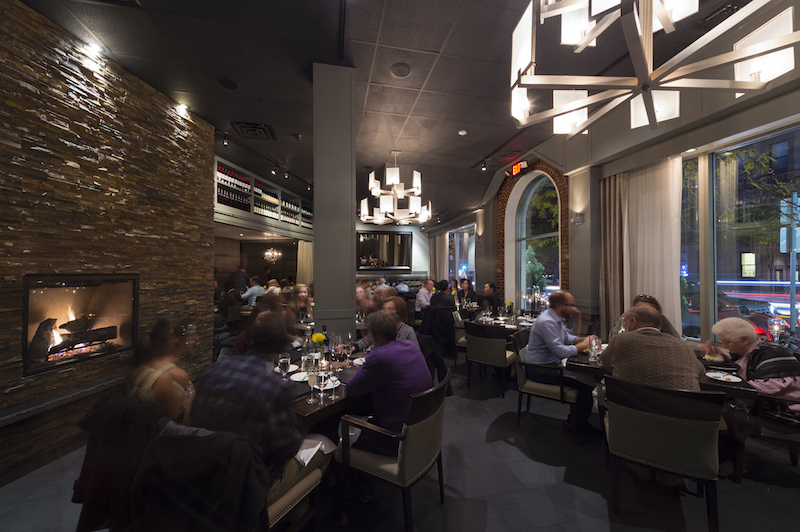 Deuxave serves modern French cuisine against a backdrop of its mood-setting gas fireplace and a menu that features treats like pan seared local scallops with parsnip frite, chanterelle mushrooms, pickled carrot, and pancetta salad with pepita aioli. Julia Child’s France meets Julia Child’s Boston. Make a reservation at Deuxave. 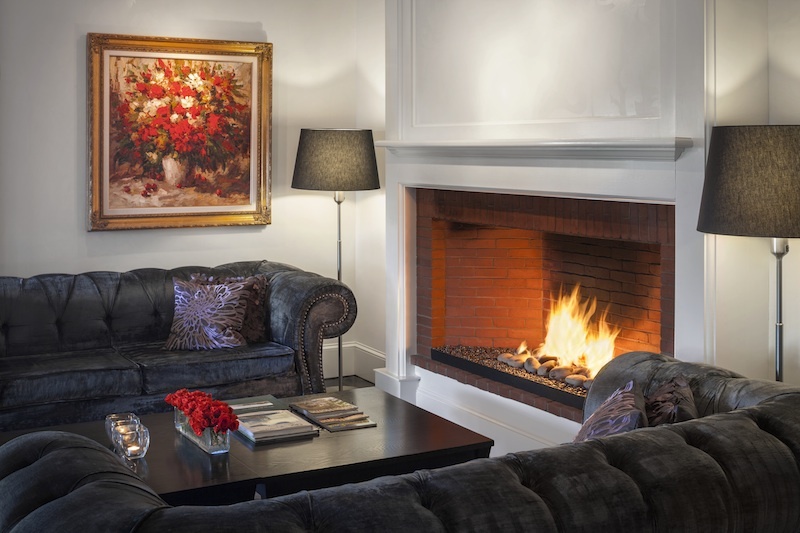 Chopps has a larger-than-life fireplace enclosed by glass in its Great Room, a communal setting with original art hanging on the walls and comfy nooks to create the perfect winter respite. Sip cocktails and savor apps like yellowfin tuna tartar, calamari and Maine lobster rolls. 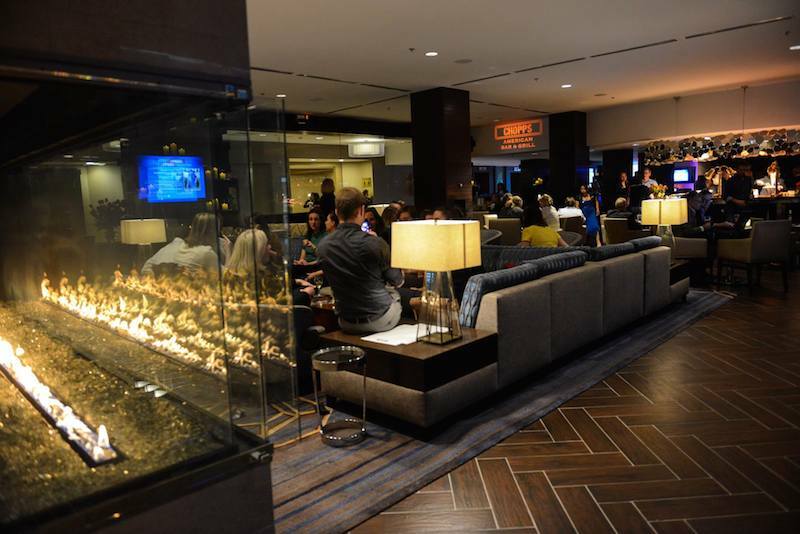 Make a reservation at CHOPPS American Bar and Grill at Marriott Boston Burlington. 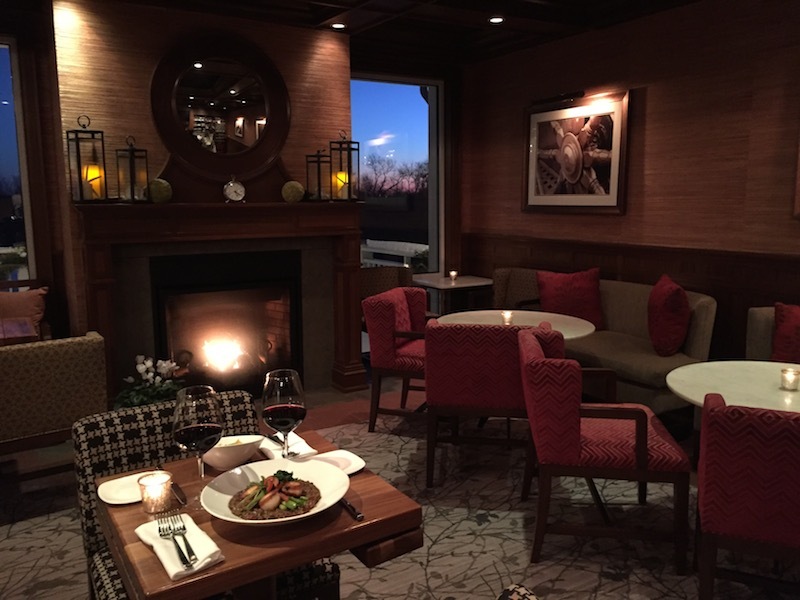 Cuddled in the Camden Harbour Inn, Natalie’s fireside nook menu features wintry whimsical items like the Winter Salad with dilly dally greens, beets, farro, and almonds, and Natalie’s Burger with pork belly, Brussels sprouts, black garlic, and Fresno peppers. Be sure to leave room for the Dutch Stroopwafel with housemade hot chocolate, black cardamom marshmallow, and carob-vanilla ice cream. Make a reservation at Natalie’s at Camden Harbour Inn. One of Newbury Street’s dining darlings, Met Back Bay has savory and sweet offerings to banish a chill. Along with the fabulous fireplace in the downstairs bar area, take advantage of Meatball Mondays and the Hot Chocolate experience (four mini sampling glasses that can be adulterated with Bailey’s or Amaretto). Make a reservation at MET Back Bay. This North End restaurant serves up authentic rustic, Italian dishes like brick-oven pizzas, including the Salsiccia e Broccoletti (homemade Italian sausage, broccoli rabe, fresh homemade mozzarella and fresh cherry tomatoes). Between the cuisine and the fireplace, it’s as cozy as your nonna’s house. 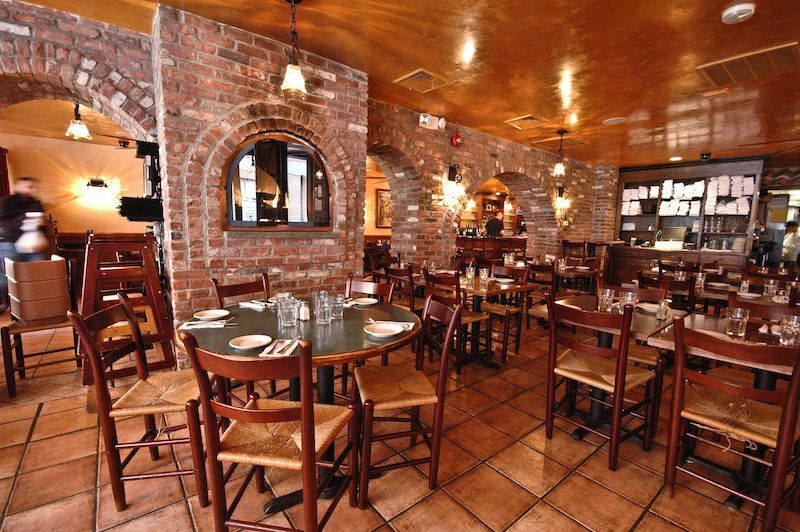 Make a reservation at Antico Forno. Order the Chateaubriand for Two — flamed and carved tableside. Or, a steamy bowl of chunky Lobster Stew. 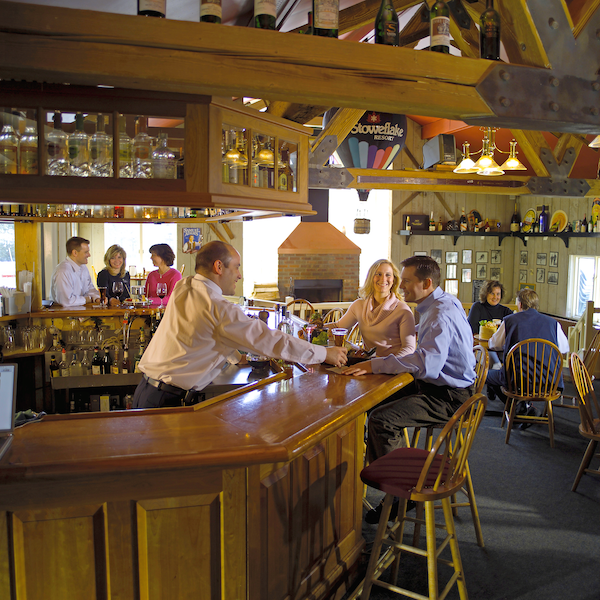 The Maine Harvest has a warm spot inside Freeport’s celebrated Harraseeket Inn. Locally-purveyed organic and natural food take center stage as does a fireplace. Before or after dinner, take a seat around the outdoor fire pit for cocktails and conversation with locals and inn guests. Book a table at The Maine Harvest @ The Harraseeket Inn. 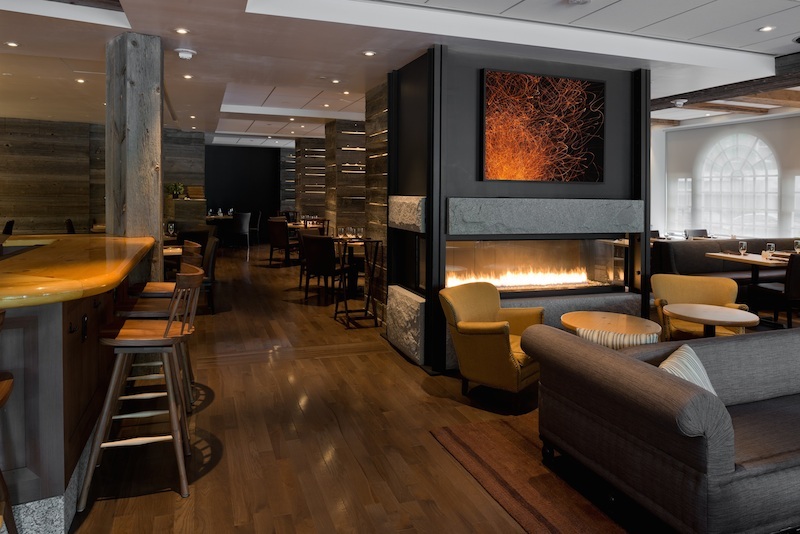 Classic meets fun with a fireside table at SALT. The restaurant is located in the historic grand Wentworth by the Sea hotel where a Bloody Mary & Mimosa Bar fuels festive dining and specialties include Wood-Fired Flatbreads and local East Coast Halibut with hand-spun pasta, local littleneck clams, sun-blushed tomatoes, artichokes, capers, and lemon parsley butter. Make a reservation at SALT Kitchen + Bar. 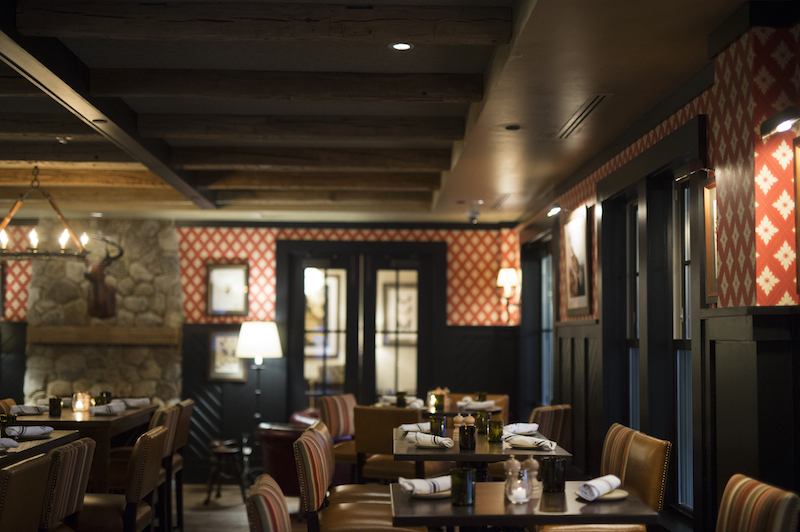 A smart location in The Hanover Inn on the Dartmouth College campus, Pine greets diners with a glowing hearth and a farm-to-table American menu. Chef Michael Schlow taps the local waters for ice cold oysters from Barnstable, Massachusetts, served with a shallot mignonette sauce. 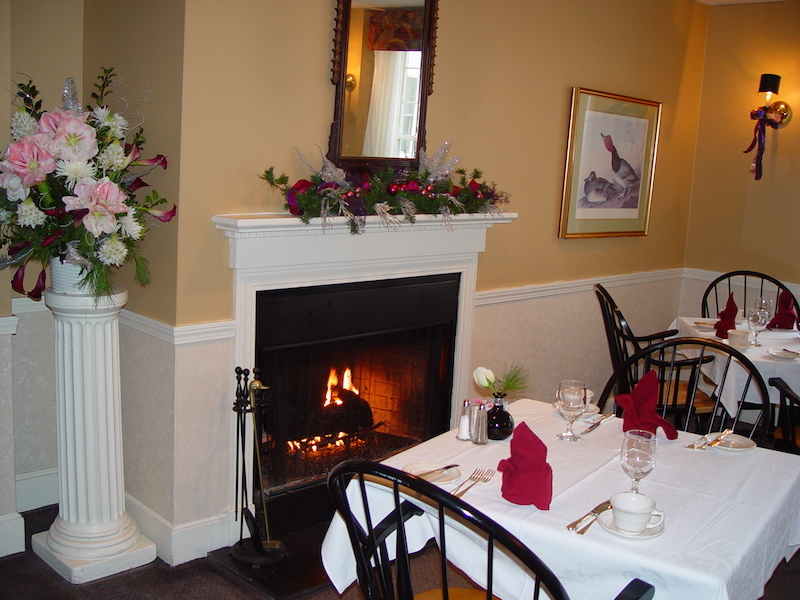 Make a reservation at Pine-Hanover Inn Dartmouth. Winter’s chill is put on the back burner here thanks to a fireplace and locally-inspired comfort food prepped by Vermont native and executive chef Adam Raftery. Think Cheddar Ale Soup with local Grafton cheddar, switchback ale, and pretzel crumbs, Mac ‘n Cheese with Grafton cheddar cream, and Cider-brined Half Chicken with rosemary roasted new potatoes, Brussels sprouts, and cider gravy. And, for dessert, check out the a decidedly Vermont spin on a classic — Maple Crème Brulee with walnut biscotti. Make a reservation at The Copper Grouse-Taconic Hotel. Turner’s oyster bar is one of Boston’s North Shore pearls. 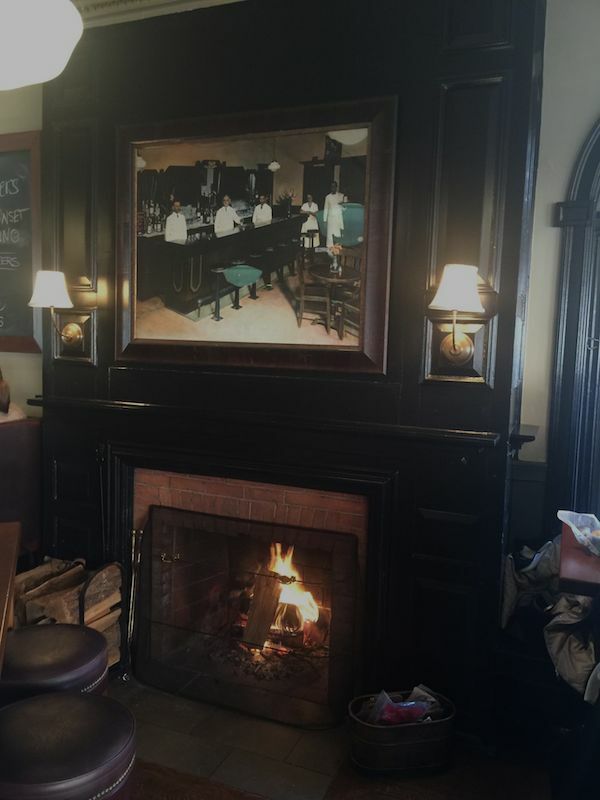 It’s got Gloucester just down the road, a spot in Salem’s historic Lyceum Hall building, and the winter time fireplace that sets the scene for Lobster Pie, Oyster Rockefella, and Turner’s Jonah Crab Cakes. Fun specialty cocktails play on the waterfront location, including the Lifesaver Martini (Bacardi Limon, Limoncello, lemon, and pineapple juice, and a sugared rim). Pro tip: Gloucester’s Ryan & Wood Distilleries have a starring role in Turner’s cocktails. Make a reservation at Turner’s Seafood. Up in ski country in the Stoweflake Mountain Resort, high-back booths, and a fireplace will thaw you out, as will a loyal-to-Vermont menu that showcases hearty winter entrees such as housemade ribs with maple BBQ sauce. And, like any respectable apres-ski spot, there’s an extensive wine list with more than 50 wines by the glass, a martini bar, and 10 beers on tap, too. Make a reservation at Charlie B’s. 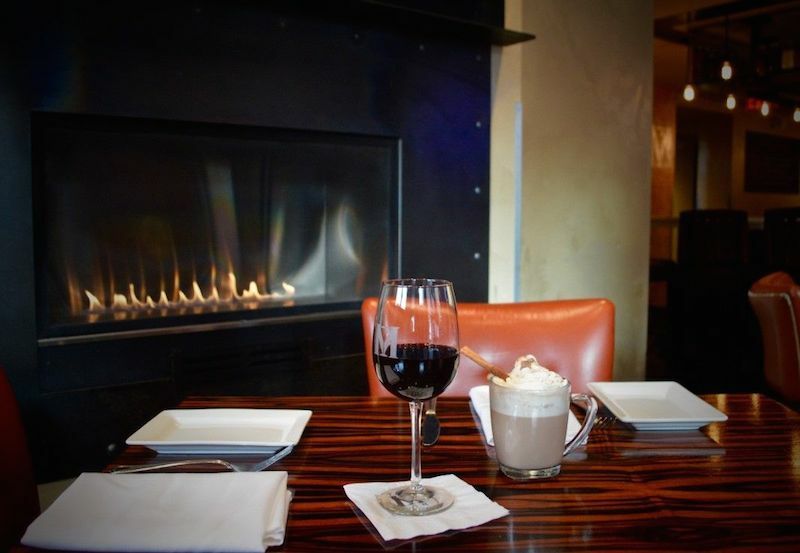 Let us know if fireside dining in New England is one of your #29ReasonstoLoveFebruary here over on Facebook, G+, Instagram, Pinterest, or Twitter. Thank you for sharing this list of fine dining in England. Can’t wait to try them out. Off yo share this too. Keep on posting.